Van Dal ladies loafer shoe. Sizes 36-41. 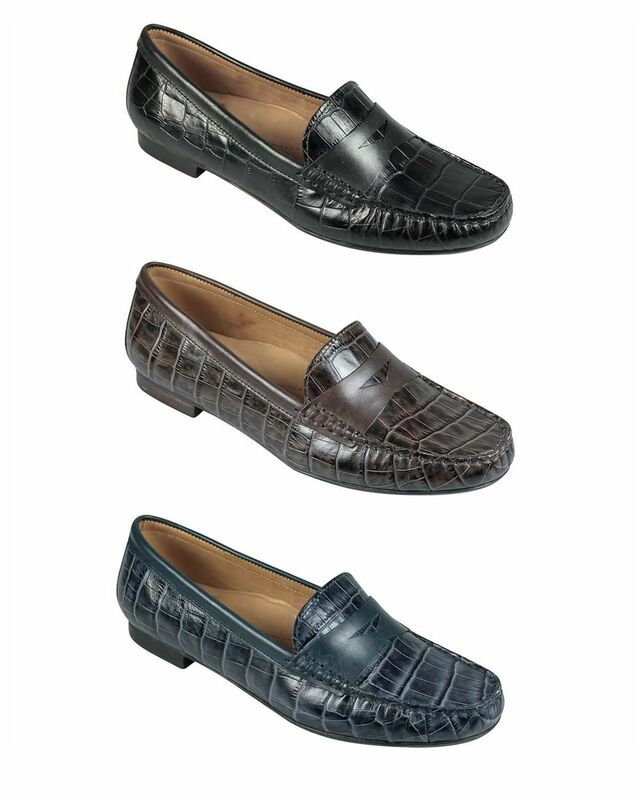 Buttersoft leather loafer in mock croc design with decorative detail to front. Rubber sole for added grip. D fit. Black, Blue, Brown.